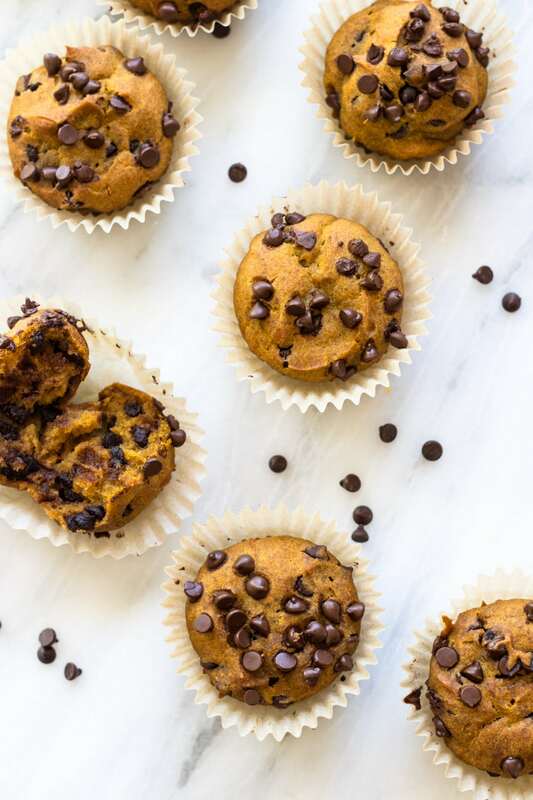 Low FODMAP Pumpkin Muffins with Chocolate Chips are full of fall flavor and perfect for a FODMAP-friendly dessert, snack, or breakfast on-the-go. How do you fix a gourd? Anyways, let’s talk muffins! 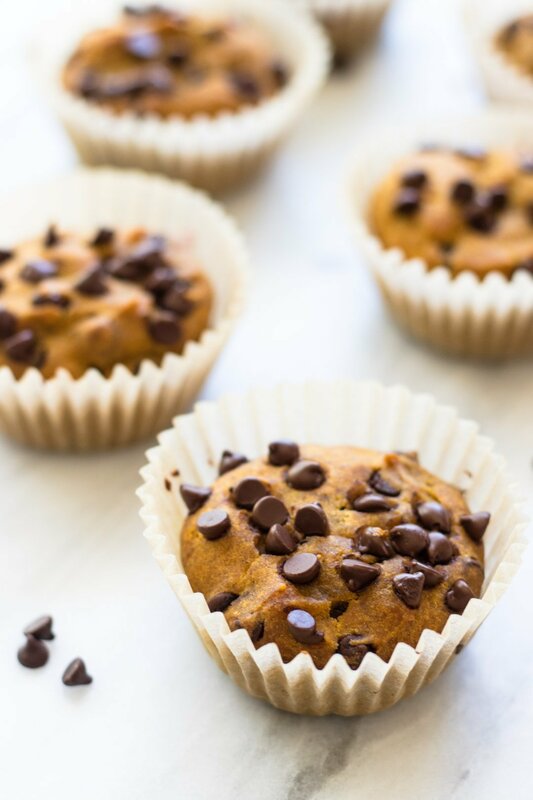 Specifically, yummy low FODMAP pumpkin muffins with chocolate chips. These muffins just scream fall. ?They’re filled with pumpkin, pumpkin pie spice, maple syrup, and … chocolate! My favorite Enjoy Life Mini Chocolate Chips to be exact. Did you hear that over 20 Enjoy Life products, including these mini chips, are FODMAP-friendly certified? Yay! 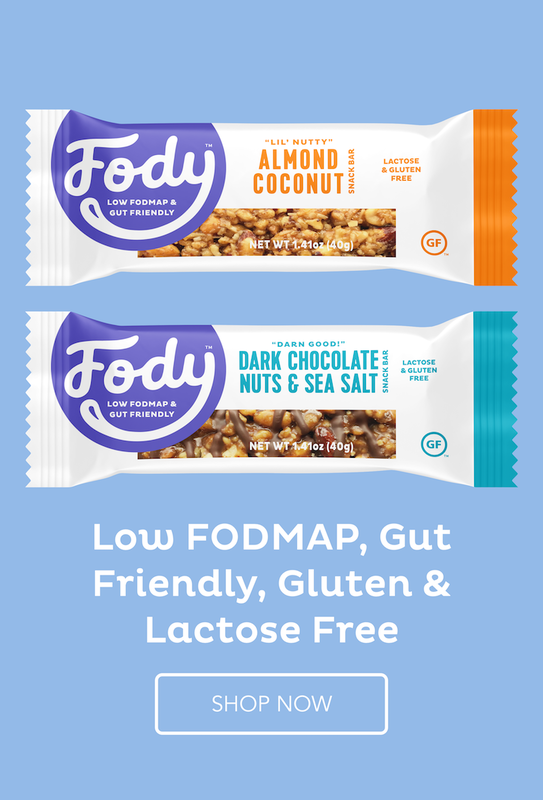 Enjoy Life has been one of my favorite free-from brands for years and it’s so exciting to see a major US brand carry the FODMAP-friendly certification. You might be surprised to see olive oil in a baking recipe, but it’s not a mistake. I enjoy baking with extra light tasting olive oil for an added boost of heart-healthy monounsaturated fats. Extra light tasting olive oil has a more neutral flavor than extra virgin olive oil and is a great substitute for butter or shortening in many recipes. It also has a higher smoke point meaning that it is suitable for baking, frying, or sauteeing at higher temps. So, I frequently keep it on hand to use in a variety of ways. I do use extra virgin olive oil, too! … just not in baking. It has a stronger flavor, so I save it for more savory dishes and salad dressings. If you would rather not use extra light tasting olive oil, canola oil works great, too! Preheat oven to 350°F. Grease a muffin tin or fill with muffin liners. In a medium bowl, whisk together flour, baking soda, salt, and pumpkin pie spice. In a large bowl, whisk together maple syrup, extra-light tasting olive oil, eggs, and pumpkin puree. Gradually add the dry mixture to the wet mixture. Stir until just mixed. Fold in ½ cup chocolate chips. 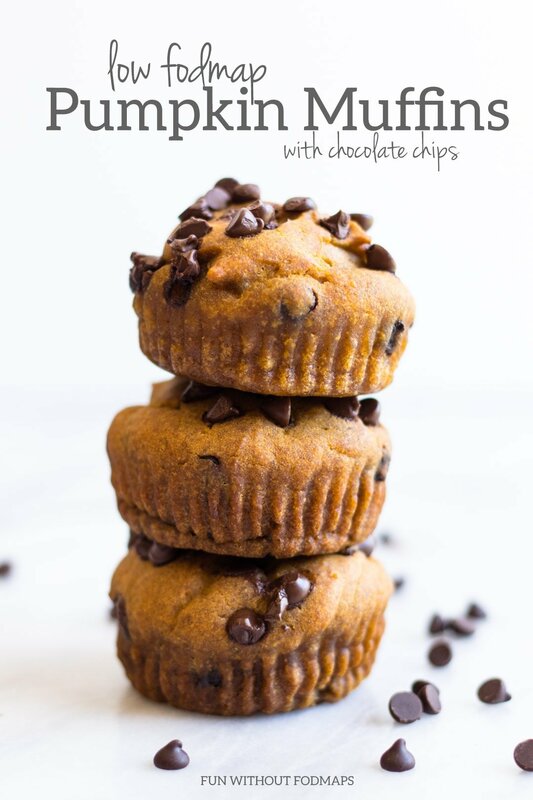 Divide batter into muffin tins and sprinkle with remaining ¼ cup chocolate chips. Bake for 30-35 minutes or until a toothpick inserted in the middle comes out clean. 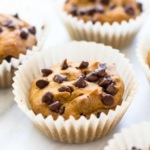 Remove from tin and allow muffins to cool completely on a cooling rack. Is there an alternative to using maple syrup? 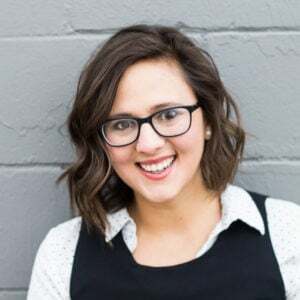 Hi Marla, Regular white sugar might work, but I haven’t tried it. Can you use almond flour? This came out so well! I also added a mashed banana to the recipe and it didn’t change it a bit. Will absolutely be making it again. One of my new favorites. The perfect recipe to enjoy this time of the year! Thanks!